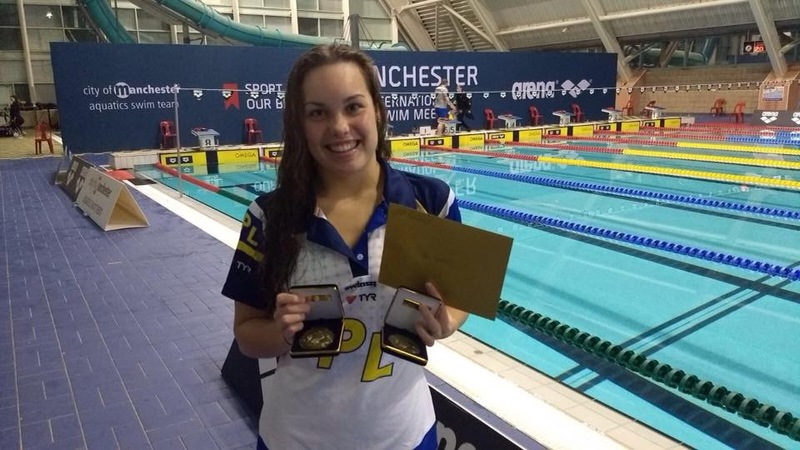 PLYMOUTH Leander’s top swimmers enjoyed plenty of success at the Manchester International Meet at the weekend. In the senior events, Great Britain international Laura Stephens struck gold with an impressive display in the 200m butterfly. She clocked 2:10.54, which was her second fastest time ever. Stephens (top left) also just missed out on medals by finishing fourth in the highly-competitive 50m and 100m butterfly events. Fellow international Jessica Jackson (top right) added two bronze medals to her collection. She clocked 56.78 seconds to touch third in the women’s 100m freestyle and 2:03.03 to take bronze in the 200m freestyle. Jackson was also fifth in the 50m event. In the junior events, Tegan Drew (pictured) celebrated double gold – taking the 50m backstroke title in 29.85 seconds and the 50m freestyle crown in 27.02. She also won two silver medals, finishing second in the 50m butterfly in 28.52 seconds and in the 100m backstroke in 1:04.31. Drew was voted top 16-year and under female of the meet. James Watson also enjoyed a high-successful meet. He won four medals and reached two other finals during the two-day competition. He claimed silver medals in the 50m freestyle (24.26), 50m butterfly (26.01) and 100m butterfly (57.74) and a bronze medal in the 200m IM (2:11.76). Katie Kyle picked up a bronze in the junior 50m butterfly in 28.64. There was a bronze for Morgan Newman in the men’s 17 and under 50m breaststroke (30.66). He just edged out his team-mate Eanna O’Hara for a place on the podium. Tom Beagley, Roman Scherer, Madelyn Moore and Imogen McCalman also reached finals. The long course event at Manchester Aquatics Centre attracted some of the world’s top swimmers, including Olympic and world champion Adam Peaty. The competition offered performance athletes the chance to evaluate their progress in the race for 2018 Commonwealth Games qualification. 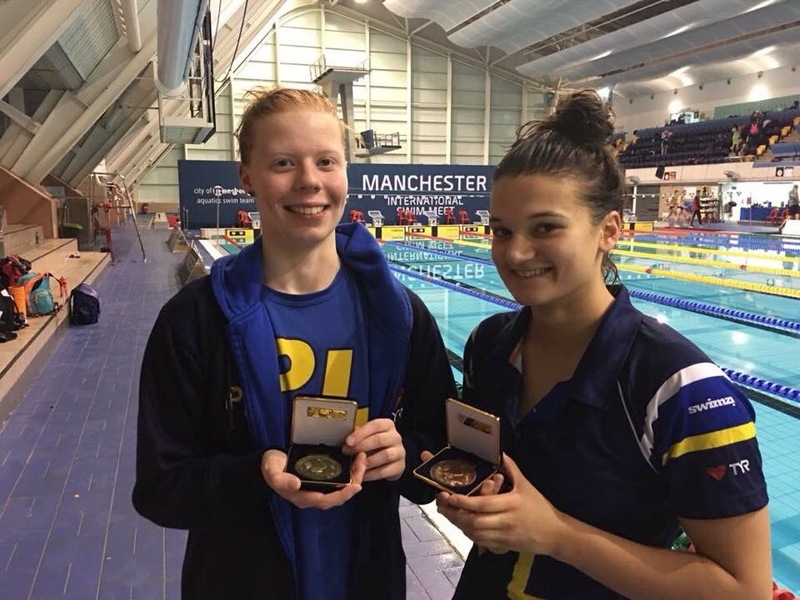 Leander head coach Robin Armayan said: “The Blue Army went to Manchester to assess the progress of the early season plan and race tough against some of the fastest swimmers in the country. “The athletes were very professional, switched on and focused throughout the weekend, displaying a great attitude with a desire to succeed and win.